Are you ready for a change? Do you have written goals that covers what you want to accomplish? Can you be disciplined enough to start a program and STICK with it? Many people fail on this because they are not clear on their objectives or they become clouded in their judgment based on comments or discouragement from people close to them. When you start on a new health and fitness path, you will experience many changes in your body. Some of them may be discomforting and uncomfortable. In most cases, that means you’re on your way to success. Yet, when most people experience a new change, THEY QUIT. 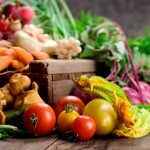 These changes are usually classified under the title of detoxification. Acne, increased gas levels, pains, headaches, etc., can all be associated with detoxification of your body, so please know in advance that anything is possible when you take your body through a detoxification process. You have to work hard to get over the other side – which is great health and maybe a wonderful adventure. There are two categories of juicers: juicers for now and juicers for life. You juice one time, so you only do 8 ounces & the juice machine requires cleaning. You didn’t lose 30 pounds after the first gulp and you’re not sure of the taste. You clean your machine, place it back in the TOP cupboard where you can’t get it easily, and give up. Now you become a victim and the only other way to lose weight is SURGERY or go back to a gym. You juice a full order – up to 1.5 gallons every 2-3 days. You drink your green juice religiously every day. You start your day off with a minimum of 24 ounces by 10 am and continue to drink green juice throughout the day. You understand that the MORE BauerPOWER green juice you drink every day the more CHARGED your ph is and the more body fat will lean off of your body naturally. The more you drink, the closer you get to your goals of feeling better and body fat loss. 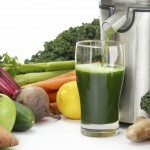 The more BauerPOWER Green Juice you drink – the faster you attain all the benefits. Smile When You See Yourself In The Mirror! Buy Jack LaLanne Juicer / Deluxe Model / 3600 RPM Motor- Only $100! No Matter What – COMMIT To Juicing as Much as Possible Everyday! Advanced Tactic: Write Out Your Juicing Goal – Use This One-Page Plan.